GENESIS, a new graphic novella from Image Comics by Nathan Edmondson (WHO IS JAKE ELLIS, The Punisher, Black Widow) and new comic book artist Alison Sampson (OUTLAW TERRITORY), pairs sweeping visuals with poignant writing in a story that cannot be missed. 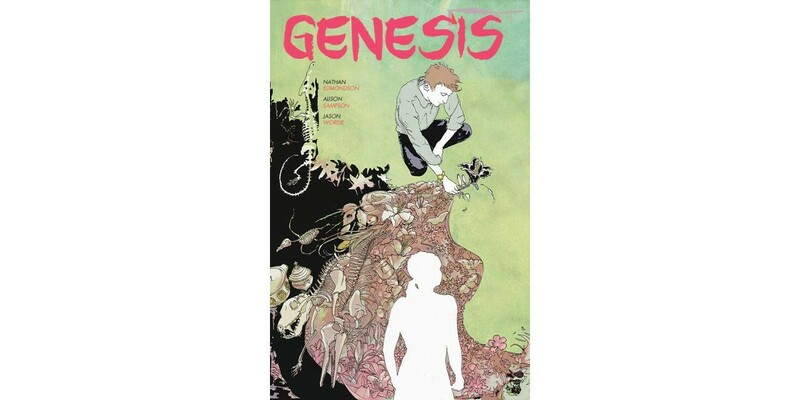 "Genesis was a fun opportunity to let storytelling and art run wild with the idea of creativity itself—of the boundlessness of imagination and the inevitable vertigo that comes from the unlimited ability to manifest anything into being," said writer Edmondson. GENESIS arrives in comic book stores on April 16 and bookstores on April 29. At 56 pages and only $6.99, it is the perfect introduction to graphic novels for lovers of surreal and magical literature, and a treat for longtime comics readers as well. It is available for pre-order now.